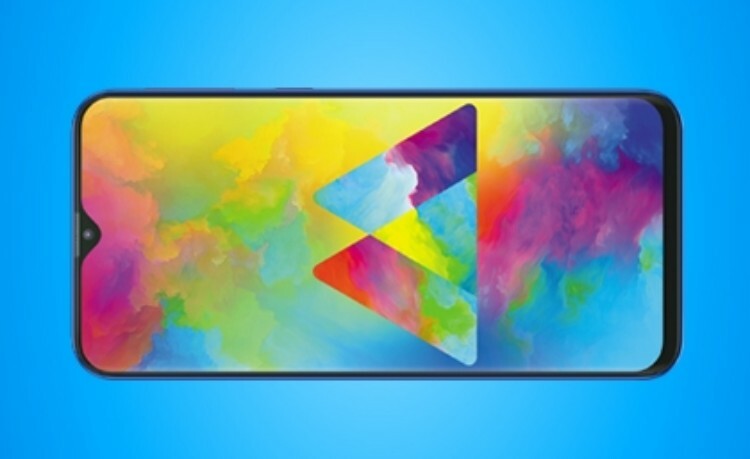 Just after launching two new made for India smartphones, Samsung is all set to release it’s all-new Samsung Galaxy M30 in India pretty soon. A batch of new leaks reveal it’s design and some of it’s specifications. 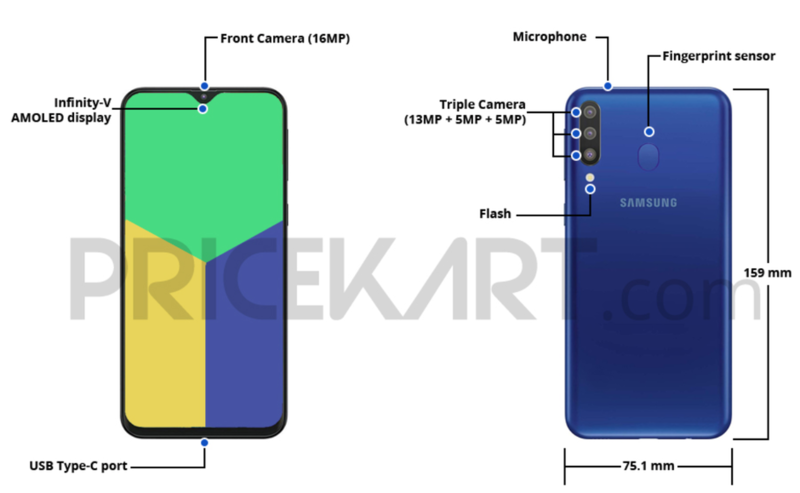 Samsung Galaxy M30 is going to have a similiar design footprint like the other M devices from the front, but it will sport few changes at the rear. The device will sport a 6.38-inch of AMOLED display with a resolution of 2220×1080 pixels . It will come with a Infinity-V design meaning it will sport a tear-drop notch with minimum bezels. One highlighting factor about the phone is that it will come with triple camera setup at the rear consisting of a 13-megapixel f/1.9 aperture lens, a 5-megapixel wide-angle lens, and the third 5-megapixel depth sensor for providing bokeh shots. On the front also it will impress us at it will feature a 16-megapixel front selfie camera which will also support portrait or bokeh mode. Inside will be powering the Exynos 7904 chipset with 4GB of RAM and 64GB of internal storage(expandable via micro SD card). The device will run on Android 9 Pie and come with a massive 5,000mAh battery that can be juiced with via the USB TYPE-C port. Other than this, the smartphone’s launch date and pricing is not confirmed but the Samsung Galaxy M30 is expected to launch next month and should be priced at around Rs. 16,000 or less. Stay Tuned for more updates on Samsung Galaxy M30 and also Subscribe to Our YouTube Channel Gadget Gig For Latest News, Reviews, Unboxing and Tips/Tricks.